Home > Books > Album verses, with a few others. 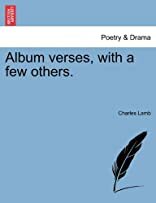 Album verses, with a few others. Title: Album verses, with a few others.